Anchor House works collaboratively with other seafarer centers around the globe and is an active member of the North American Maritime Ministry Association. Anchor House is also an active member of Port Ministries International. 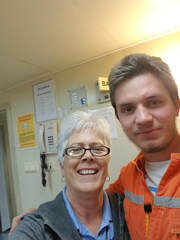 Seafarers’ missions are very aware of the value of working together to meet seafarer’s needs, because the time they are in port is often very short and the needs are frequently serious. So, maintaining communication and collaboration with other port chaplains/centers is primary. The Anchor House Mission is pleased to welcome Rev. Richard Lewman as our new Executive Director/Chaplain. He is ordained by the Southern Baptist Convention, and has also led Mennonite and non-denominational churches. Rich hails from eastern Pennsylvania. He and his wife of 41 years have one son who lives in Pennsylvania with his wife and two young children. He brings leadership skills from 35 years as a pastor, business leader and teacher. Rich joined us in December as Tim retired. Please keep all of us in your prayers. Married 42 years to Michael Alligood. They have 3 children and 5 grandchildren and 1 great-grandchild. Born in Jacksonville on a naval base, and moved around until she was 12 and then settled in Florida. 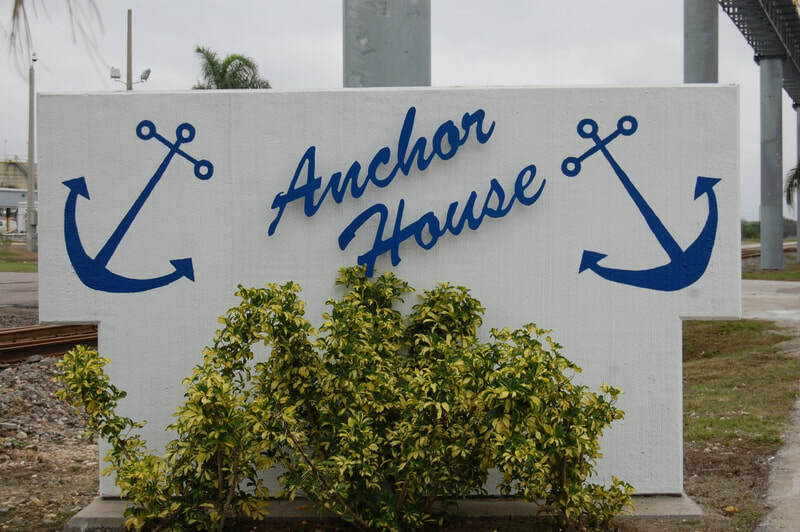 Anchor House, Inc. is a mission to the men and women of the seas, the truckers and the port community. Joined Anchor House in the fall of 1994 as a volunteer on cruise ship days. At the end of 1995 in obedience to the Lord, she gave up a cleaning business and worked at Anchor House full time with a small salary of $50 a week. October 1, 2006, she was commissioned as a missionary for the North American Mission Board, Mission Service Corp. September 07, 2010, after taking chaplaincy training, she was commissioned Community Services Chaplain by the North American Mission Board. Was certified with the Florida Baptists as a Chaplain and continues education through Leavell College, New Orleans Baptist Theological Seminary.